Good: ; calling and texting; password lock; free. A person has many roles: a father, a husband, a businessman, a party animal, a social worker, a player and many more. With each such role, there are many associated characters as well. You’re part of many different stories every day and encounter many different faces in each such world. They’re all very different from each other and therefore you can’t mix them up. But when you have a single mobile phone number, the situation is certainly cumbersome. It’s like juggling lives. Currently, you have one big ball that you can’t even throw up to juggle. So it’s better to divide into a number of shorter balls and in that way, it becomes much easier. Also, giving your personal number to everybody is like risking your privacy. Your number can be used in many not-so-good affairs without giving a blink to your eye. So it’s better if you keep it secret from unknown faces. So what’s the solution? You can get more than one numbers, but it only increases the risk of losing information. Moreover, if you need say four such numbers, you’ll need two dual-SIM phones. Not an easy task and it’s again, quite cumbersome. So here we have this new iOS app called DialMask that gives a very unique but effective solution to the problem. 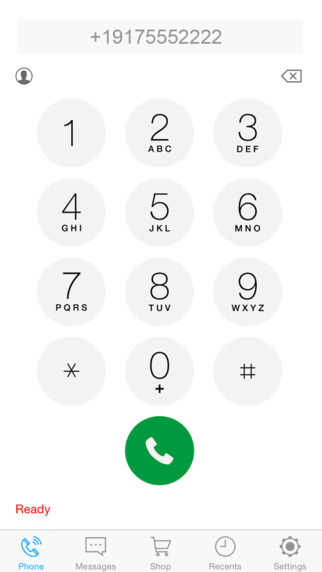 With DialMask, you can have any number of private numbers without getting any extra handset. All you need to do is just register your mobile phone number with DialMask and get a private number of your choice. No personal information is required to be submitted. You can delete or add to them almost instantly without any delay. Moreover, you get $2.5 of credits for free for the first time. These are enough for a calling period of 10 minutes or so and sufficient to check out the quality of the app and ease that it introduces in your life. 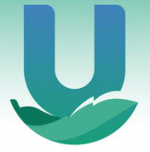 The app also offers texting service in a number of countries (US, Canada, Germany, Australia, France and UK). The prices are quite competitive for both calling and texting, either local or international, and therefore using this app as an alternative to your personal number is not a bad alternative at all. The app is store-keeper for all your numbers. 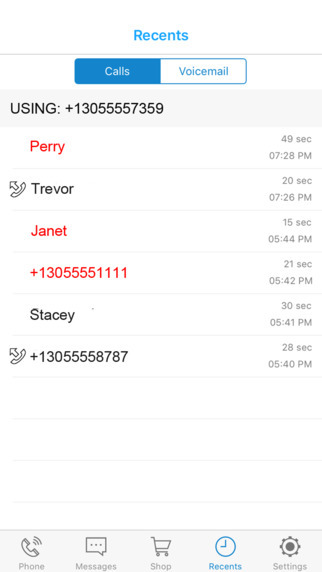 All the contacts, the related information, messages and call logs are confined to the app itself. So the rest of your phone stays the same as it was before and the minute you exit the app, you’re back into your life. You won’t be looking at your clients again and again even when you’re on a vacation. 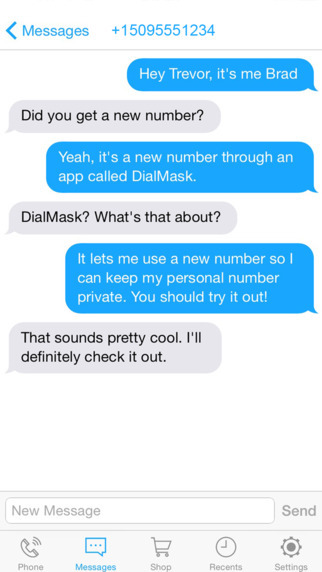 Further, calling (and texting) with DialMask is the same as you know it now. So once you have DialMask in your phone, your phone is automatically multi-SIM with better results. So what are you waiting for now? If you’re waiting for the price tag, then don’t worry; just march ahead. This app is available for free in the App Store. 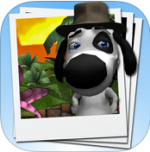 Pros: delete/add new number instantly; available in multiple countries; calling and texting; password lock; free.